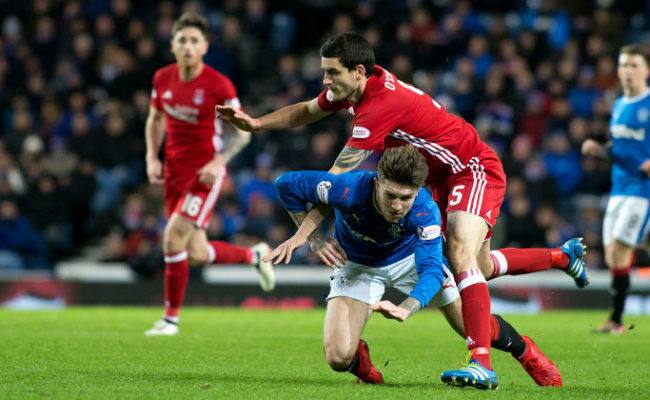 RANGERS thumped Aberdeen by three goals at Ibrox to move within three points of the second placed Dons. 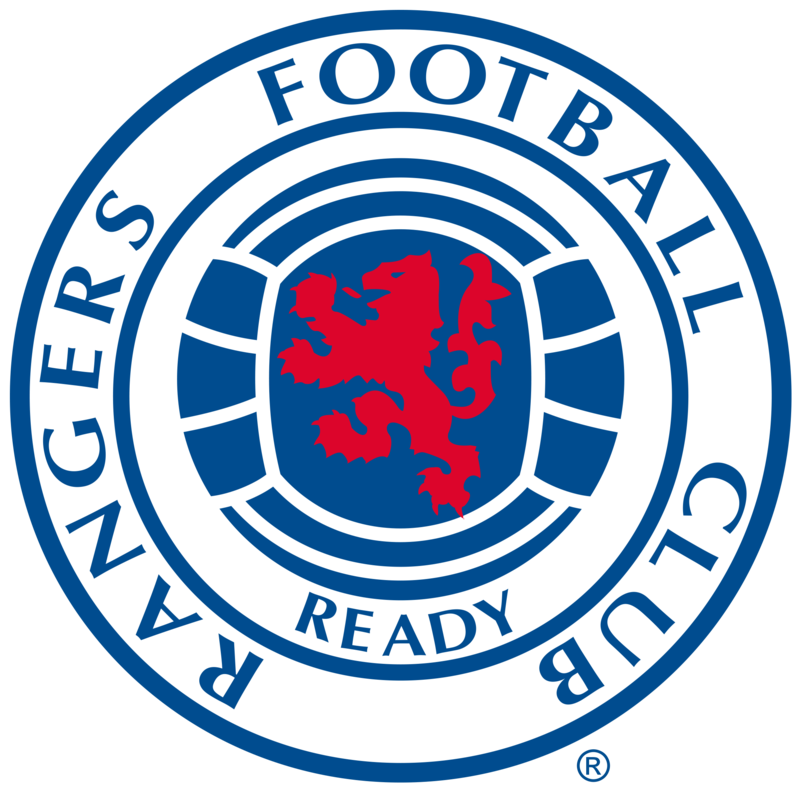 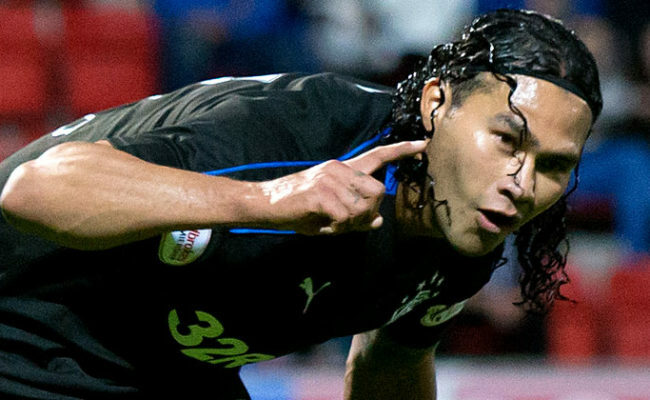 Graeme Murty shuffled his Gers pack into a midfield diamond and brought Carlos Pena and Bruno Alves into his starting XI and his change of approach paid dividends. 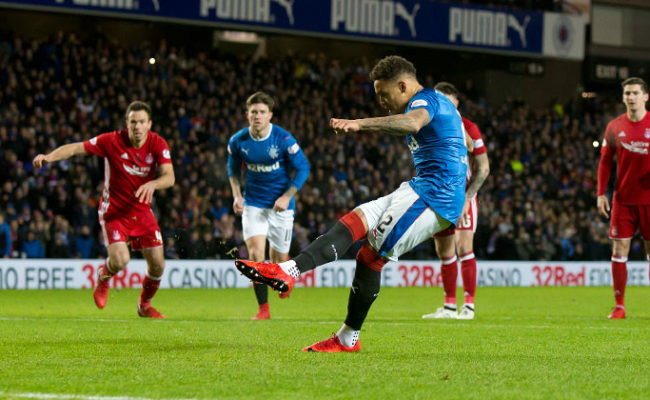 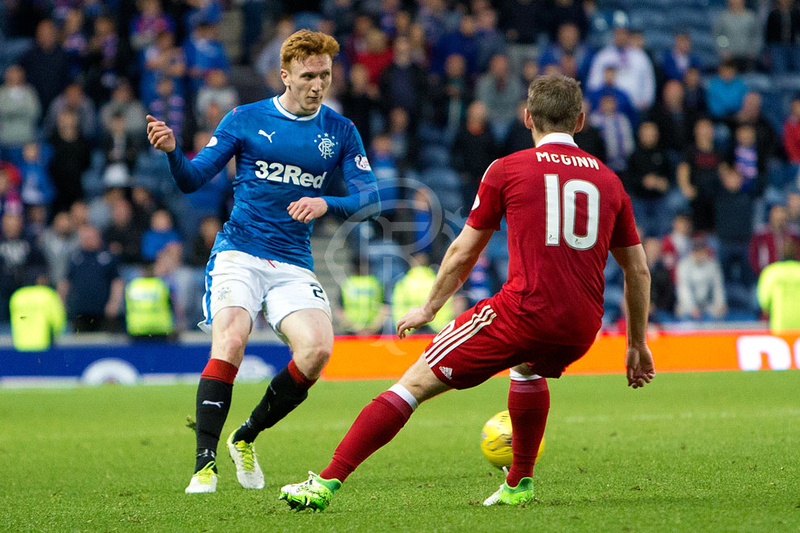 Rangers had their lead after a mere seven minutes, James Tavernier slotting home a penalty after Jason Holt was fouled. 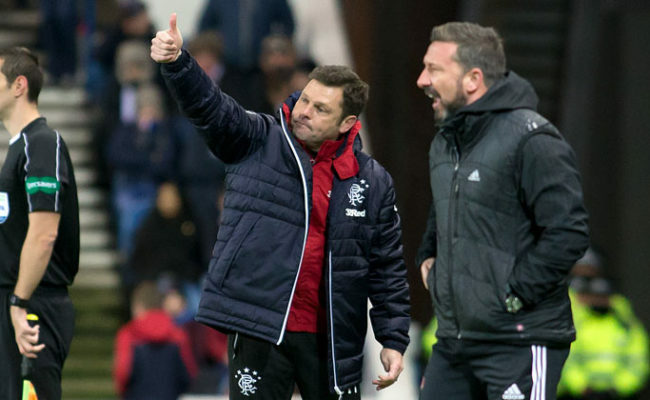 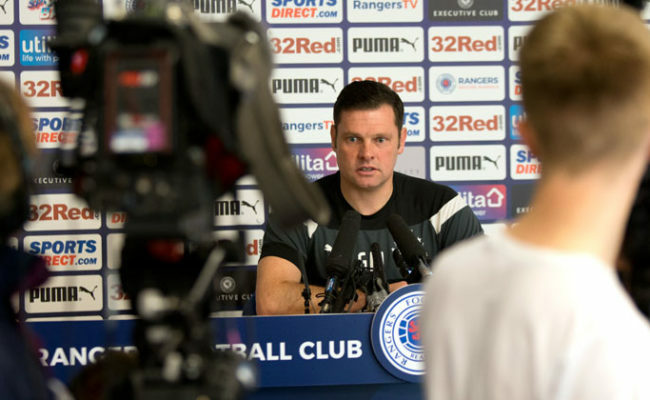 Their pressure didn’t let up and Pena repaid Murty’s faith by scoring his side’s second and his fifth of the season just before the half hour mark.